The IFH Group is one of the USA’s largest manufacturers of hydraulic oil reservoirs and fuel tanks for off-road and specialty vehicles used in agricultural, construction, military and a range of other “off-highway” applications. Each reservoir and tank is customized to meet customer designs and applications, and is available in capacities from 1 to more than 300 gallons. “If you need a fuel tank or hydraulic reservoir for your specific application, we’re the company to contact,” said Ryan McCarty, Director of Sales and Marketing. 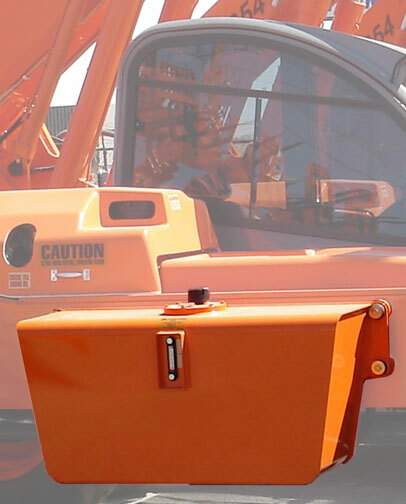 The IFH Group manufactures reservoirs and tanks as well as custom fluid containers and tanks of all types in a range of materials including mild steel, stainless steel, aluminum and aluminized steel – whichever is best suited to the application, be it forklifts, aerial lifts or earth boring equipment. The IFH Group pioneered the use of aluminized steel – a unique blend of mild sheet steel hot dip coated on both sides with an aluminum-silicon alloy – to solve the contamination problems inherent in uncoated steels. It combines the corrosion and rust resistance of aluminum with the structural strength (and lower cost) of steel. Aluminized steel tanks are resistant to virtually all petroleum-based and synthetic fluids while providing protection from atmospheric corrosion. The IFH Group provides on-site design and assembly assistance, as well as standardization of the materials and components required in customers’ reservoirs and tanks to maintain a broad inventory at The IFH Group’s factory, ready for immediate build, quick assembly and fast delivery. This heavy-duty telescopic forklift has an IFH Group hydraulic oil reservoir with a capacity of 45 gallons.